The Ardith dining collection offers versatile and stylish solutions for your formal or casual dining space. Your choice of a traditional table and chair set or optional bar height table with upholstered bar chairs lets you choose the style that suits you. A unique travertine and marble style top lends a distinctive air to the entire collection and is repeated on each table and chair for a polished, well designed look. 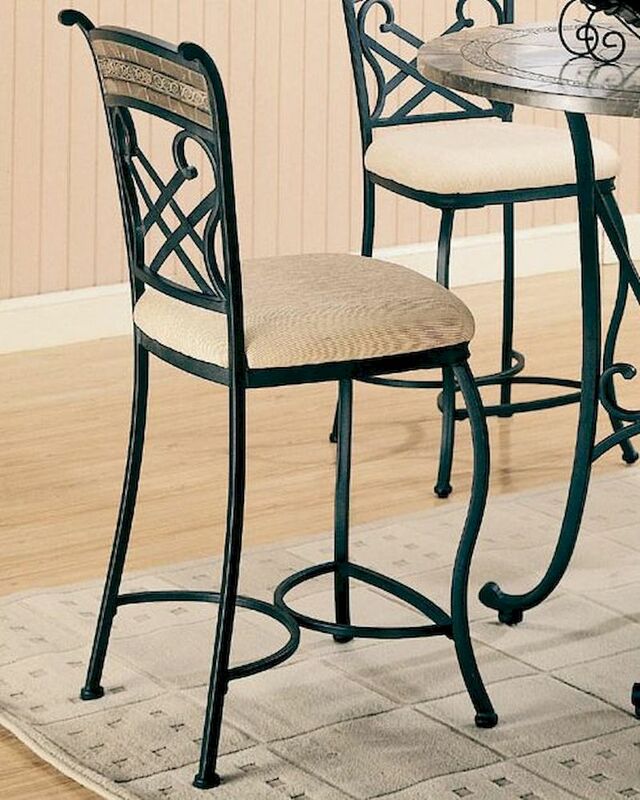 Table bases crafted from metal feature intricate scroll details, also repeated on the chairs, and are bathed in a smooth black finish that blends beautifully with existing decor. Chairs are upholstered in a creamy neutral hue that forms an unexpected contrast with the matte black finish of the table. Finally, a dining collection that is as functional as it is beautiful! 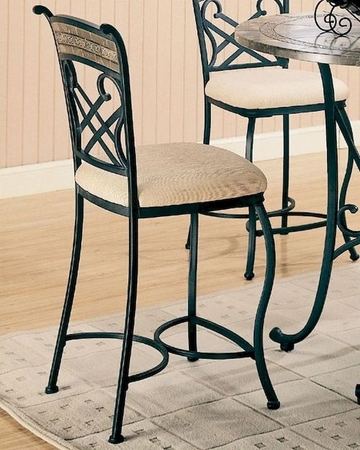 Take home this upholstered bar chair with metal base and enjoy casual counter height dining anytime. 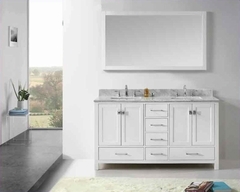 An intricately detailed metal base is bathed in black for a polished look, while a seat back with more exquisite metal details is accented with a distinctive marble and travertine style inlay. Curved legs and a uniquely shaped stretcher accentuate the chair's base and provide sturdy support for a padded seat upholstered in a neutral cream fabric. Place around the coordinating bar table, which continues the eye catching use of travertine and marble style inlays, for a dining set that's as functional as it is beautiful.